It rings somewhat true. Jaguar definitely doesn’t need an audible combustion engine to make a statement when it comes to performance and technological capability. But the I-PACE doesn’t outpace its competitors when it comes to range, sustainability, and a cohesive concept. While it’s always good to have another electric vehicle (EV) on the market, Jaguar has room to strengthen its roar. Jaguar focused on performance and technology, which the company’s research indicated is customers’ top priority. The all-wheel drive (AWD) performance from the car’s twin concentric motors offers incredible torque. As our own Steve Hanley wrote during the official unveiling of the I-PACE in Portugal, driving the electric car is superb. 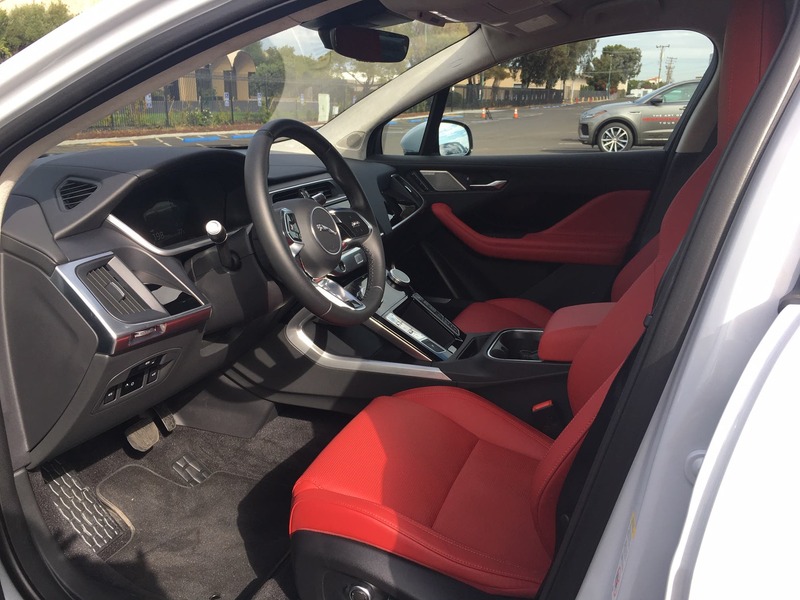 I raced the I-PACE around the side streets and parking lots of the San Mateo Convention Center this week and was impressed by its effortless and silent speed. I’m told it can reach 60 mph in 4.5 seconds, but I went from 0–70 mph so quickly I forgot to verify it. There are also an impressive number of buttons and screens. The I-PACE is the first Jaguar to incorporate the new Jaguar InControl Touch Pro Duo infotainment system. There are two touch pads: one 10-inch upper screen and one 5.5-inch lower screen. My travel companion, a Jaguar representative trained in the I-PACE, went back and forth between the two screens struggling to find the climate controls. It took a while, but it sure was fun to press all the buttons. 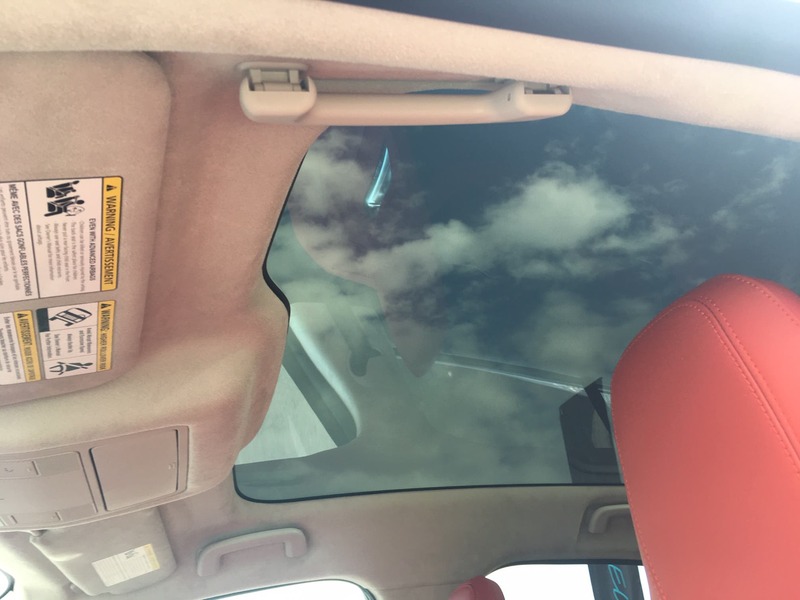 My favorite feature was the full-length panoramic roof. It absorbs UV light, so there’s no need for a blind. 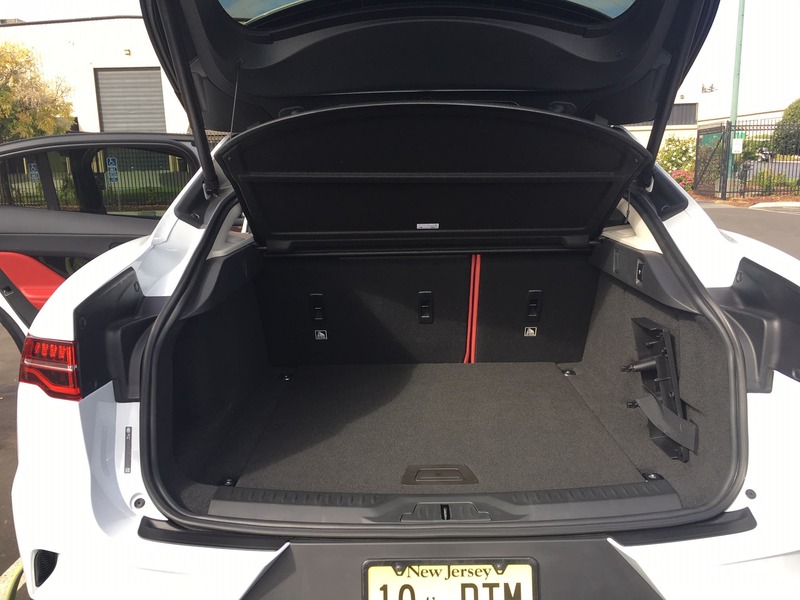 It automagically keeps the cabin cool and increases headroom. Plus it’s pretty. Environmental concerns ranked third in Jaguar’s customer survey. While the I-PACE has the efficiency and sustainability features you would expect in an electric car, it certainly isn’t making a roaring impact for the environment. In September, Jaguar demonstrated that its I-PACE could drive from south of London to Brussels — 229 miles — with 8% battery charge left in its reserve upon arrival. The company says that its 90 kWh lithium-ion battery can deliver up to a 240 mile range. It sounds amazing, until you realize that other EVs, including the Chevy Bolt and Tesla’s vehicles (Jaguar’s biggest competitors) offer the same if not greater ranges. Yes, actual battery range depends on a lot of factors. But for Jaguar’s price tag ($69,500 in the United States before federal and local government incentives), it should get closer to 300 miles. An engineer at Jaguar admitted the vehicle would have to be driven at a steady 45 mph with all auxiliary systems turned off (no AC, no heating) to get anywhere close to 298 miles under the WLTP standard. Testers at Top Gear estimated the real driving range is closer to 200 miles. 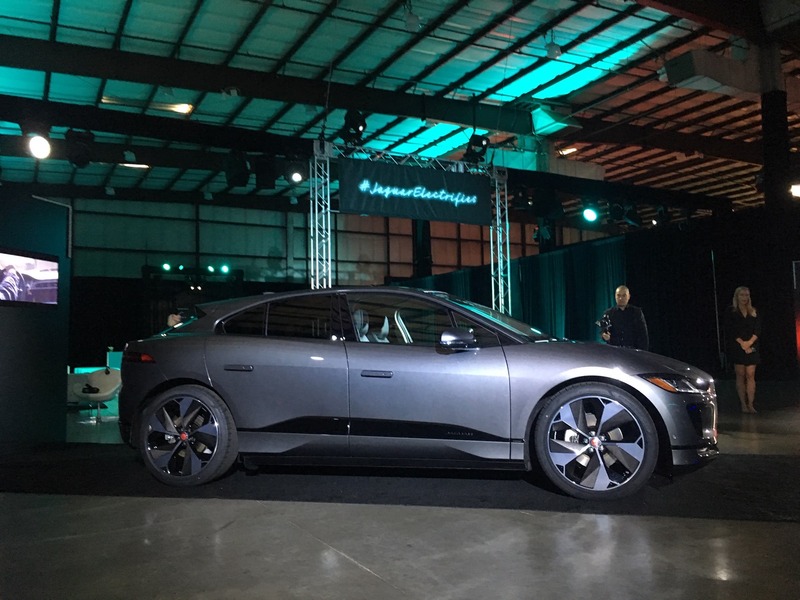 While Jaguar also considers the total lifecycle ecological footprint of the I-PACE — from manufacturing to recycling parts — the materials it uses could be more sustainable. For example, Kvadrat, a premium textile alternative to leather used in the company’s Land Rovers, is available as an option. While this isn’t bad, it’s also not quite as sustainable as many other car manufacturers, including Tesla, which offer vegan interiors; at least, as an option for the seats. If the target customer is a wealthy Silicon Valley entrepreneur or Jaguar enthusiast, the I-PACE’s other features also don’t make a lot of sense. Like the company’s award-winning F-PACE, the I-PACE is a utility vehicle. It can tow an approximately 850 kilogram trailer, travel off-road, hold a roof rack, and even sustain driving in 20 inches of water. It’s hard to imagine the typical Jaguar driver needing any of these capabilities. “Maybe it’s not Jaguar genes, but I think the customer might appreciate it,” Dr. Ziebart said. For decades, Jaguar struggled to live up to its legacy. Only after its merger the Land Rover and the release of its first sports utility vehicle — the F-PACE — did things begin improving for the company. Jaguar seems less concerned with defining itself as a unique luxury vehicle now and more concerned with giving customers what they want. And maybe customers want their all-electric Jaguar to tow a horse trailer through 20 inches of water. As the EV market becomes more congested, Jaguar’s decision to offer a vehicle with speed, buttons, and utility features may give the company enough juice to speed ahead of competitors like Tesla, Audi, and Mercedes Benz. Or maybe not. If I had the money, I would lease a Tesla now and watch how Jaguar irons out the wrinkles after its first EV attempt.